Pizza is, supposedly, fast food. But sadly too many people think that means fast food of the megachain variety to placate boisterous kids or calm the late-night munchies. But it’s really just fast in that done right it’s simple – dough with two or three quality ingredients cooked in under two minutes at an ultra-high temperature. The Italians know this and it’s the Americans who by and large have fed us the ersatz cheez’n’herb stuffed crust, ham and pineapple abominations. Which brings us to the pizzeria Peter and that’s enough in Loughborough (I haven’t grasped the significance of the name, but no matter). This team of Neapolitans have made it their mission to “cure” the injured image of pizza. And after last night’s visit I’d say the patient is well on the way to recovery. 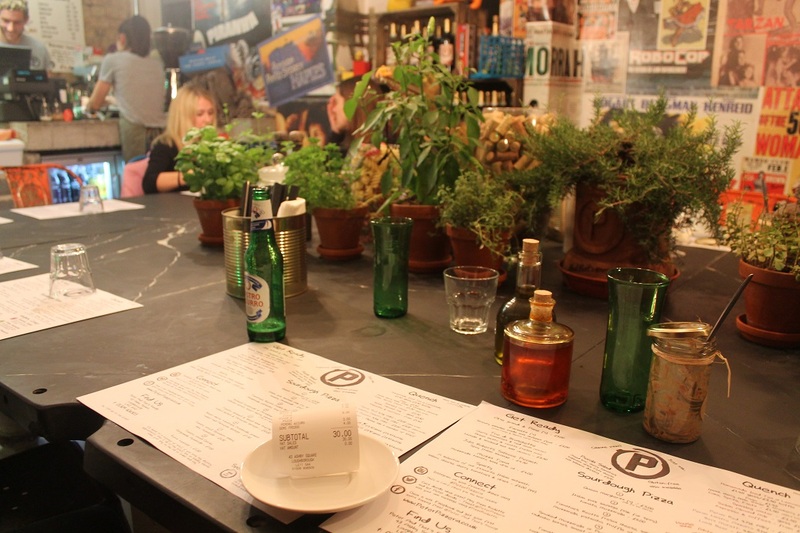 Sited in what was the old Crown and Cushion pub in Ashby Square, it’s a lovely place with cured meats hanging from the ceiling, herb plants adorning a huge communal slate table (from which we could tear a few bits of basil), an open kitchen, wafts of truffle oil and a happy buzz. It was a bit grim to have pass through some of the staff having a fag on the doorstep, but once inside not a foot was put wrong. The pizzas were just heavenly. And here there is a qualification to the fast food thing – because Italy is also home to the Slow Food movement and these pizzas qualify as slow food too as they are made from sourdough which has been left to breathe, rise and develop flavour for at least 28 hours. The bases are thin enough to bubble and scorch as they cook, but with a beautiful textured crust giving a little more bulk and flavour. The menu is encouragingly short and focused, with eight pizzas. 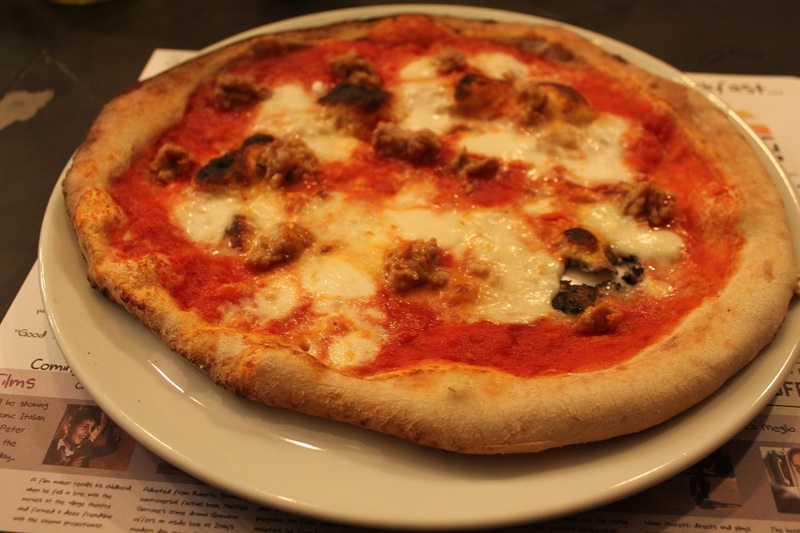 I had tomato, mozzarella and spicy Italian sausage and each element was superb. 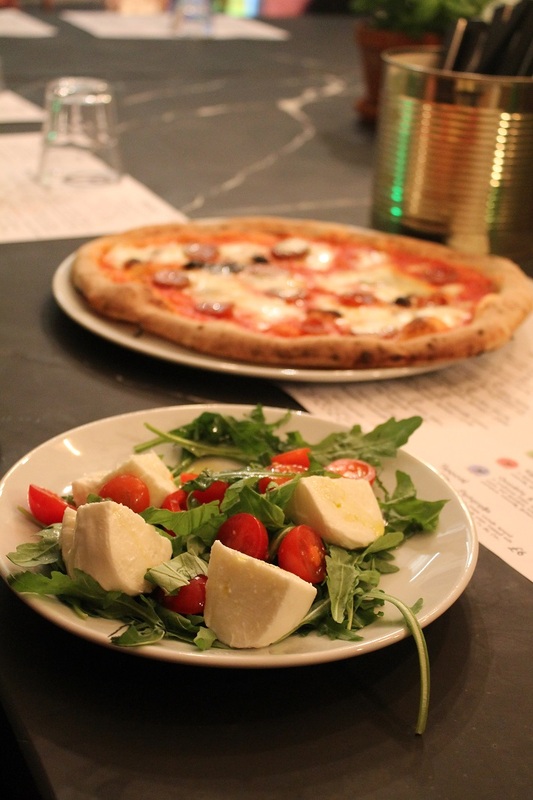 The tomato paste was the best I’ve encountered – intense flavour from San Marzano tomatoes – while the mozzarella (which we also had with a cherry tomato salad) was encouragingly British. An extensive search for the best lead them to Laverstock Farm in Hampshire apparently. The sausage was high quality, genuinely spicy and very moreish. Rob had tomato, mozzarella, chorizo and gorgonzola and again each element stood out well. Quick simple, gorgeous food at £6 or £7 a pop – it’s a real winner. 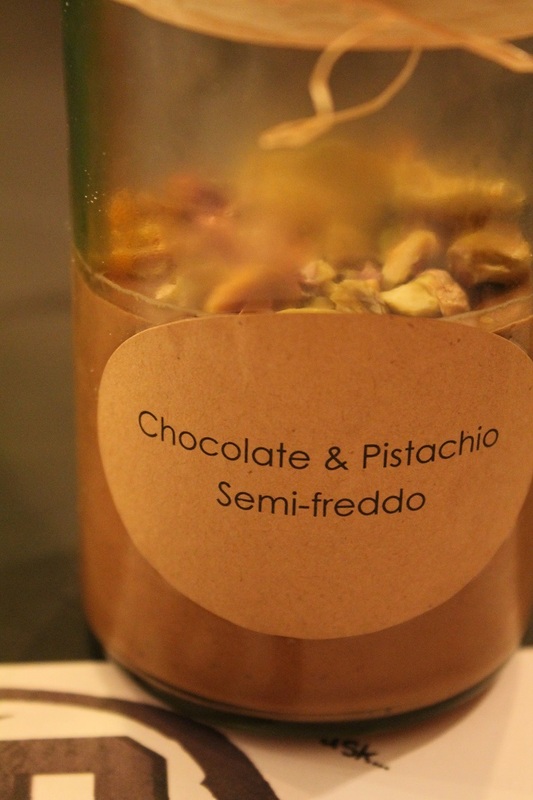 I had a desert too, a hugely enjoyable chocolate and pistachio semi-freddo, more of a chocolate mousse in my book, but rich and tasty and served in a sweet little jam jar. You can tell I enjoyed this place, and now to the best news of all. I have some inside knowledge that another branch should open next year near Victoria Park in Leicester – in fact about 5 minute walk from my house. If you are based in Leicester, I wouldn’t wait though, go and give it a try in Loughborough. 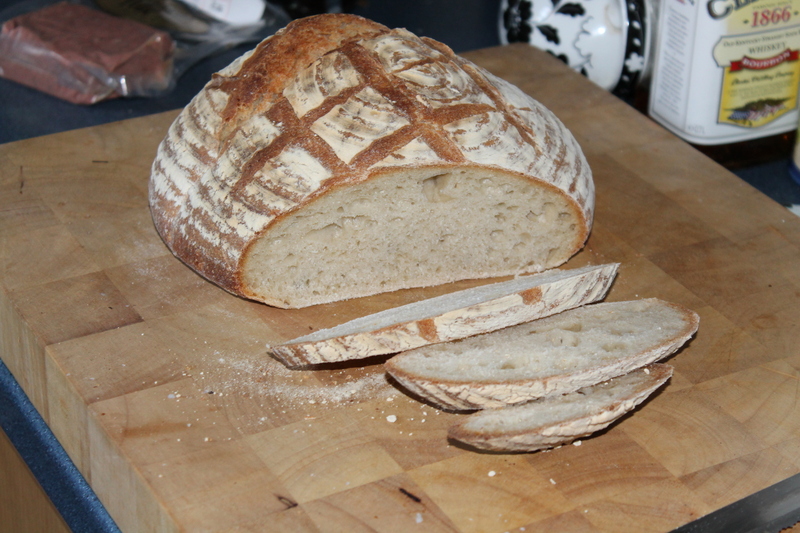 Here’s a thing of beauty – a tangy sourdough loaf from Jessica at Leicester Born and Bread, about to have an encounter with a slab of Brixworth pate from Northants, and a bottle of Jaipur IPA by Thornbridge. An excellent lunch for a sunny Spring morning and great preparation for a battling performance and defeat of Hull City. Enjoy the rest of the weekend everyone.